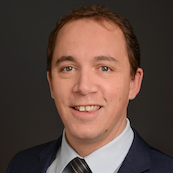 Sébastien Desvignes is Consulting Director at Information Services Group (ISG). In his role, Sébastien Desvignes leads customer engagements in DACH and is a member the Engineering Services practice. In addition, he is engaged in Product Lifecycle Management (PLM), Internet of Things (IoT), Industry 4.0 and Digitalization topics. Over his career, Sébastien Desvignes has been working for software providers and large industrial companies where he led various digital transformations. His assignments vary from leading large IT organizations; defining governance and operating model to re-engineering and automating business processes. He has deep insights in PLM, MES, ERP, applications landscape harmonization, outsourcing and end-to-end software lifecycle management. In the recent past, working as an Executive Product Manager, he developed strategies and commercial models for new digital products. Sébastien Desvignes holds two Masters in applied mathematics from the French National Institute of Applied Sciences and Toulouse University. He got further business and leadership trainings in GE, Crotonville. Mr Desvignes is multilingual and speaks German, French and English.